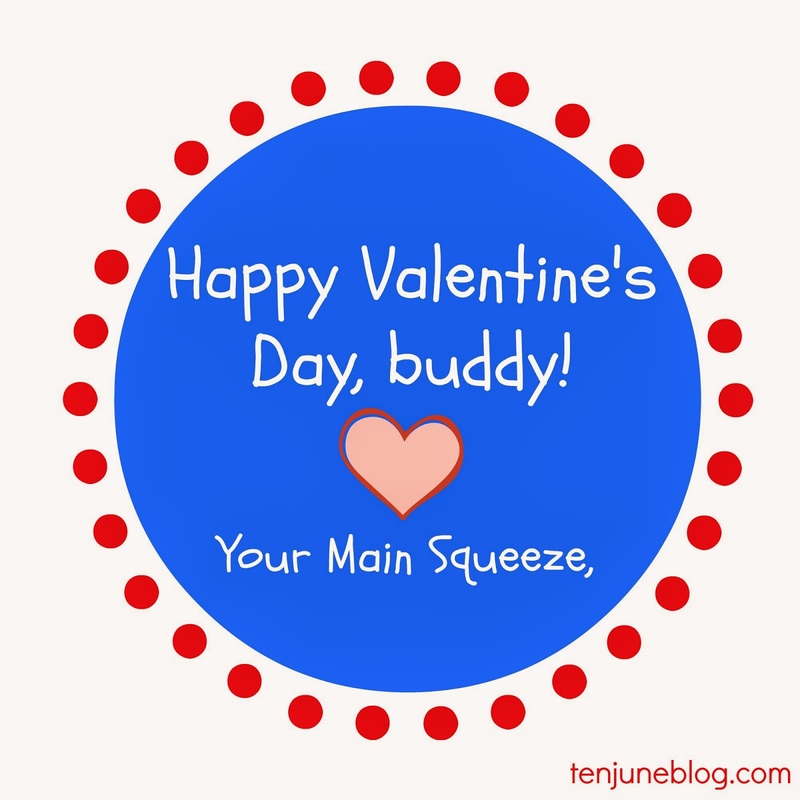 Ten June: Valentine's Day Card Printable for Toddlers: My "Main Squeeze!" 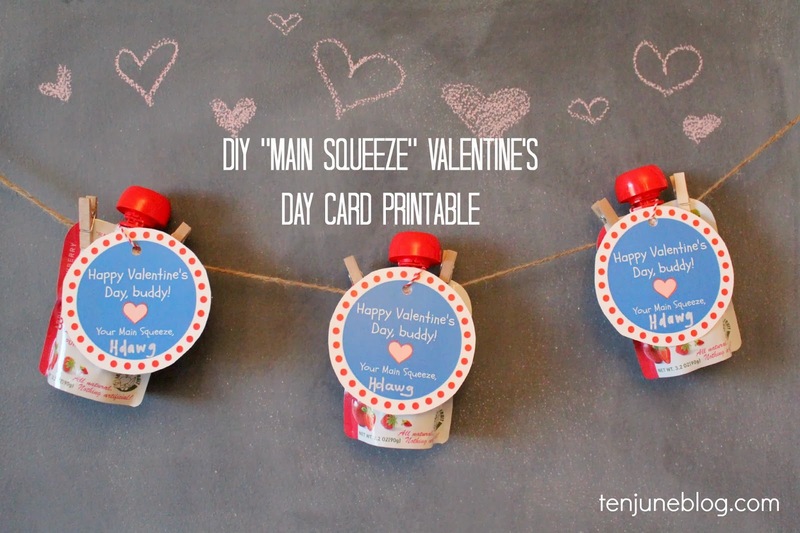 Valentine's Day Card Printable for Toddlers: My "Main Squeeze!" There's something about a holiday that is way more fun with kids, right? I've shared before here on the old blog, but typically David and I are the ultimate Scrooges when it comes to Valentine's Day. We don't exchange gifts (although last year he surprised me with a Kindle, which kind of rocked! ), we don't go out to a nice dinner, he doesn't buy me flowers... we actually just don't celebrate at all! Boo, I know. It's just not a holiday that's important to us. Me and my man celebrate our love every day of the year, if ya know what I mean. Wink wink. But with kiddos? Way more fun. 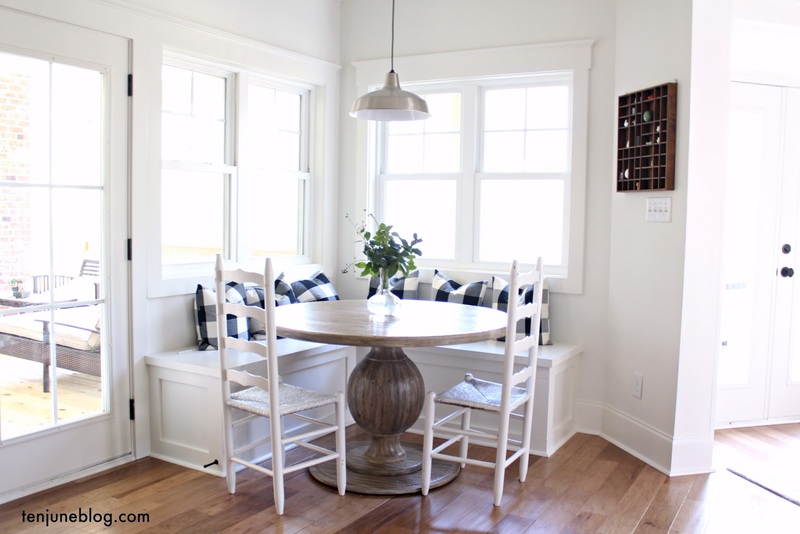 Makes me want to break out the the red + pink construction paper and start crafting up some paper hearts! I was still on maternity leave last year at this time, so this is HDawg's first year in a classroom on Valentine's Day. I'm pretty sure that 16 month old toddlers don't exchange Valentine's Day cards... but it's me and even though I'm not a big VDay fan, I want him to share a little something with his classmates! I tried to think of something toddler friendly... ie. no candy, no inhalable small toys, no junk. So what does every young kid love these days? Squeezable fruit packs. Yum. It's one of HDawg's favs, that's for sure. And healthy, every mom's delight. 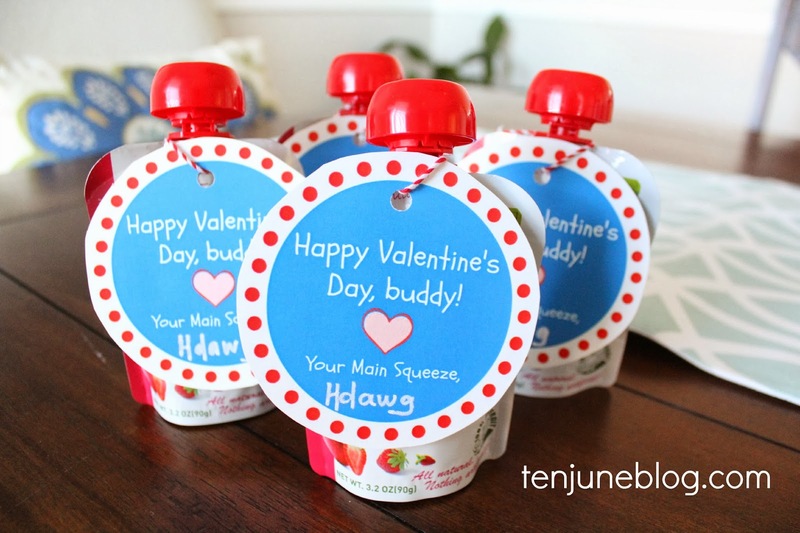 Add a little play on words and boom... you have the perfect toddler Valentine's Day treat! And I think I'm even more hilarious for buying the Buddy Fruits squeezables. Get it? Happy Valentine's Day, buddy!?! Har, har, har. I created the little custom tag and simply tied around the fruit pack with some red and white bakers twine. 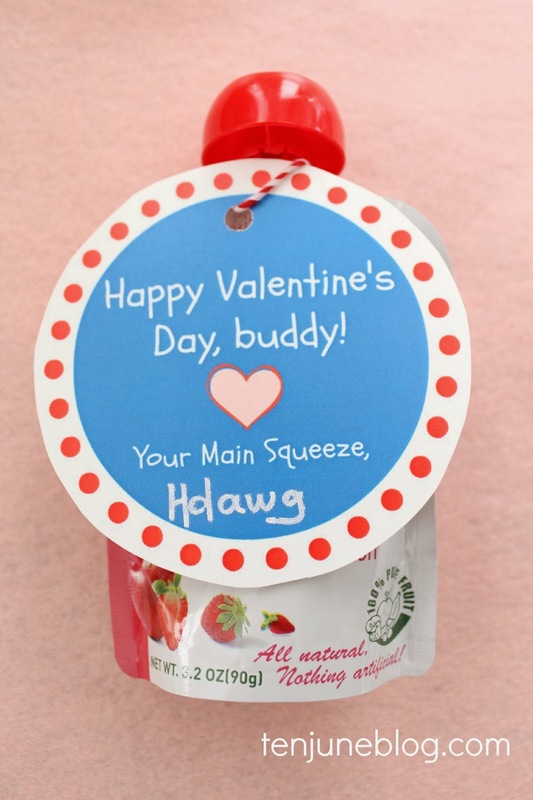 Just print, cut, punch a hole at the top and add your little one's name after the "main squeeze" salutation and you've got a custom Valentine's Day card for your tot! And of course I want to share my little creation with all of you. Click here to download the printable! Please note: I've shared this free printable for personal use only. Please do not distribute for commercial use. If you share on your website or elsewhere, please link to this blog post and not simply to the PDF itself. As always, feel free to email me with any questions. Thanks for understanding! 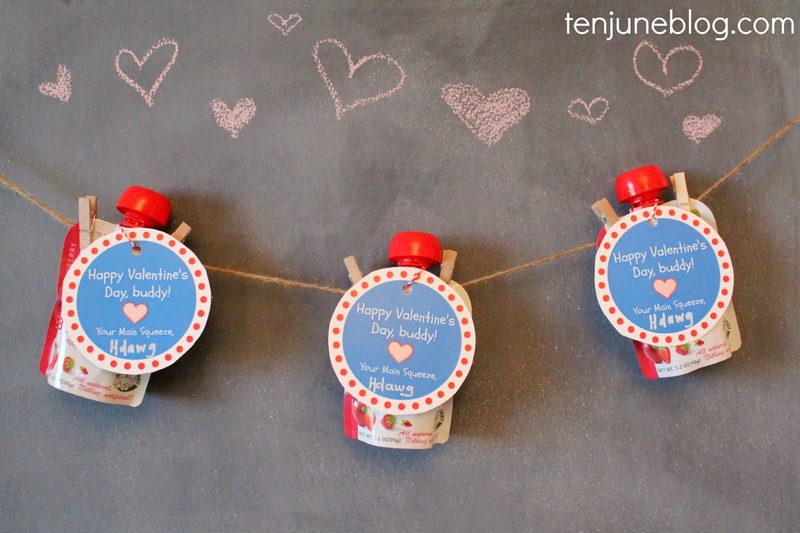 Are you creating anything crafty and fun for Valentine's Day this year?! These are great because they are cute but also so practical for the little kids. I'm not sure if Noah and his friends are exchanging valentines, but if he is I'll be coming back for this printable! Ah these are adorable Michelle! 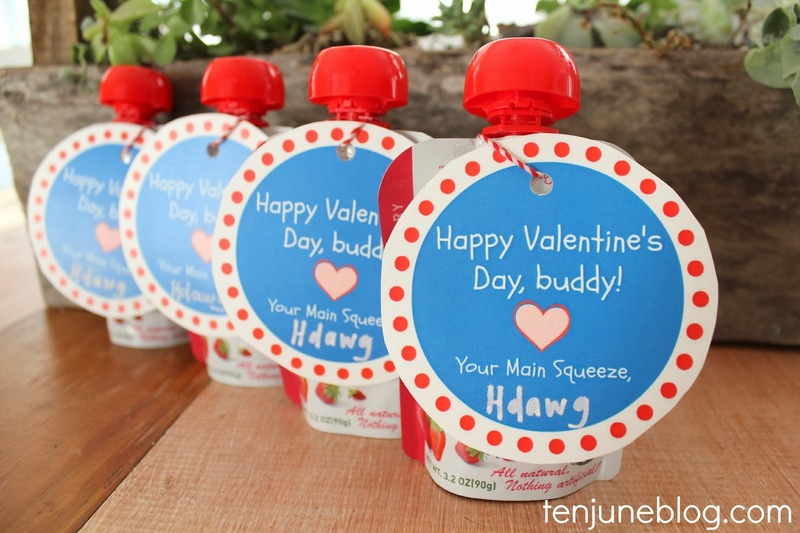 Such a sweet idea for Valentine's Day. Love these. Using it for my daughter's daycare as well. Thank you!!! this is what I was looking for! I was wondering if there is a way I could get an editable one where I can change the buddy into a child's name?